The documentary "Concrete Steel & Paint" will be shown June 9 at 7 p.m. at the Zoetropolis Art House and Theatre in Lancaster, Pennsylvania. The program, which is hosted by Eastern Mennonite University Lancaster’s Restorative Justice in Education program and the Center for Community Peacemaking, includes small group discussions and a panel of restorative justice experts. 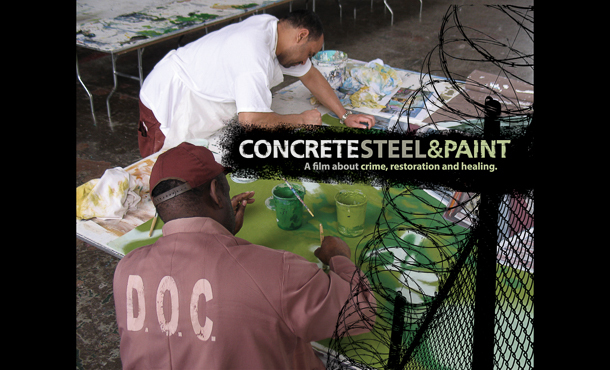 The 2009 documentary “Concrete Steel & Paint,” a film produced and directed by Cindy Burstein and Tony Heriza, chronicles the discussions, dialogue, conflict and art of men and women – victims and offenders alike – involved in the Mural Arts Restorative Justice Program at the Pennsylvania State Correctional Institution at Graterford. 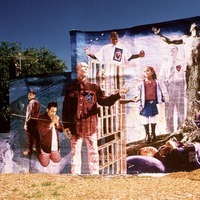 The “Healing Walls” mural in the north Philadelphia “Badlands” neighborhood. Both EMU and CCP employ and educate practitioners of restorative justice. CCP works to build a culture of peace in the Lancaster area through a variety of strategies, some of which can be viewed in the documentary. The organization facilitates victim-offender conferencing, youth-parent communication courses, peacemaking circles to address conflict, and accountability circles for former offenders. In 2014, EMU became the first graduate school in the country with restorative justice programs housed within a graduate education program. One semester later, in January 2015, the program was started at EMU Lancaster. The concept is being practiced with success in Los Angeles Unified School District, Oakland area schools, and in other districts across the country. In January 2014, the practices were endorsed by the U.S. Department of Education in a report, Guiding Principles: A Resource Guide for Improving School Climate and Discipline. The education department also offers a 15-hour graduate certificate in RJE for students who have already earned a master’s degree or are not currently pursuing a master’s degree. The goal is to make the RJE programs broadly accessible, according to Rutt. Courses are offered in a variety of formats, including online, blended, and on-site with weekends or week-long intensive summer courses. SUBSCRIBE NOW Stay informed of all the latest news at EMU.